Funny Little Stories is a collection of nine stories representing the Plains Cree, Woods Cree, and Swampy Cree dialects, with a pronunciation guide and a Cree-to-English glossary. 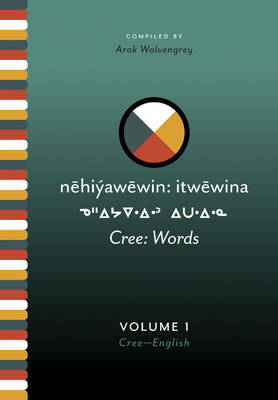 Students and Elders come together in this volume to offer samples of three distinct genres of Cree storytelling: word play, humorous accounts of life experiences, and traditional stories about Wisahkecahk, the trickster-hero. Each story is illustrated and is presented in both Standard Roman Orthography and syllabics, with English translation. Buy Funny Little Stories by Arok Wolvengrey from Australia's Online Independent Bookstore, Boomerang Books. Arok Wolvengrey is Department Head, Associate Professor, and Linguistics Program Coordinator at the First Nations University of Canada in Regina.